Spy gadgets have come a long way in recent years thanks to shrinking technology. 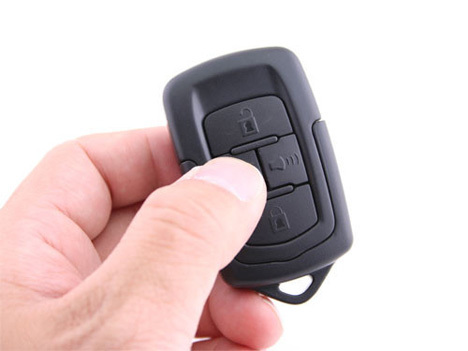 This little camera manages to look like an innocent car remote, but it is actually a powerhouse of covert technology that makes it possible to capture whatever is going on around you. The device features motion-activated recording, infrared night vision, and the ability to take pictures, video and audio recordings. And unless you really hunt for hints that it isn’t a car remote, it is difficult to discern the tiny camera’s true nature. Even the buttons look like regular car key buttons. 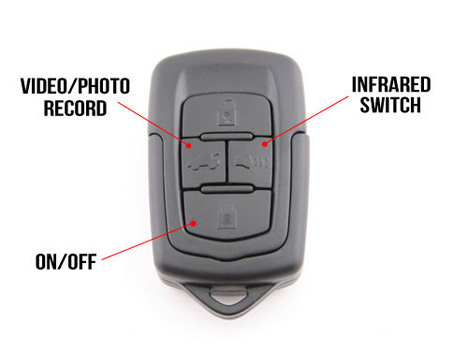 Because every spy needs plenty of space for their evidence, the Spy Cam Car Key comes with 8 GB of built-in memory. The battery recharges via USB, which is also how the data is transferred off of the $60 device. If you carry it on your key ring just like a car remote, you can always be prepared to run an impromptu surveillance operation.